Description: The Norman Howard School (NHS) is an independent day school for students with learning disabilities. 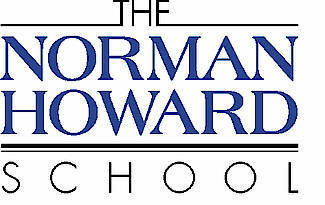 Located in Rochester, New York, the Norman Howard School provides individualized instruction to students with learning disabilities in grades 5 – 12. Students from 40 different school districts in ten counties attend NHS. The main focus of the program at NHS is to assist students in reaching their potential by combining learning strategies and remediation with an individualized learning plan in a supportive environment. NHS encourages each student to explore his/her learning strengths and challenges to better understand themselves as a learner. NHS is a School’s Attuned trained school and provides remedial reading instruction using the Wilson Reading System. NHS is accredited by the New York State Association of Independent Schools (NYSAIS) and is a member of the National Association of Independent Schools (NAIS). NHS is an approved special education placement program by the New York State Education Department. Our Mission: The Norman Howard School (NHS) fosters the academic growth of students with learning disabilities while promoting their development as respectful, responsible, resilient citizens. The school advances the understanding of learning disabilities and serves as a resource for the community. Students/Disabilities Served: Our program supports youngsters from 10 – 21 years of age with various types of learning disabilities, including dyslexia, non-verbal LD, Asperger's Syndrome, Anxiety and ADHD. Students best served by NHS are diagnosed with a language and/or learning disability, have average or above average cognitive ability and are free of any primary emotional and/or behavioral concerns. Services Provided: Counseling and speech & language therapy are provided by appropriately licensed and certified staff. Skills for Life, a social skills class, is also part of The Norman Howard School program and taught by our Social Workers and Speech & Language Pathologists.